Birchers have become a bit of an addiction for me at the moment and also my Friday morning treat. As much as I love trying out new recipes and different cuisines when I get hold of something I like I become a bit of a creature habit and I can return to it again and again. Examples of this have included the roasted vegetable cous cous from M&S (honestly if it’s not on the shelf when I’ve set my mind on having it for lunch I spend about an hour deciding on something else) as well as recently the goats cheese bakes from Sainsburys (probably not the healthiest of dinner options but so simple) and now after discovering Pret’s bircher I have become addicted! It really is such a treat and when I have it I just feel all happy because it’s delicious yet good for you at the same time and fills me right up. 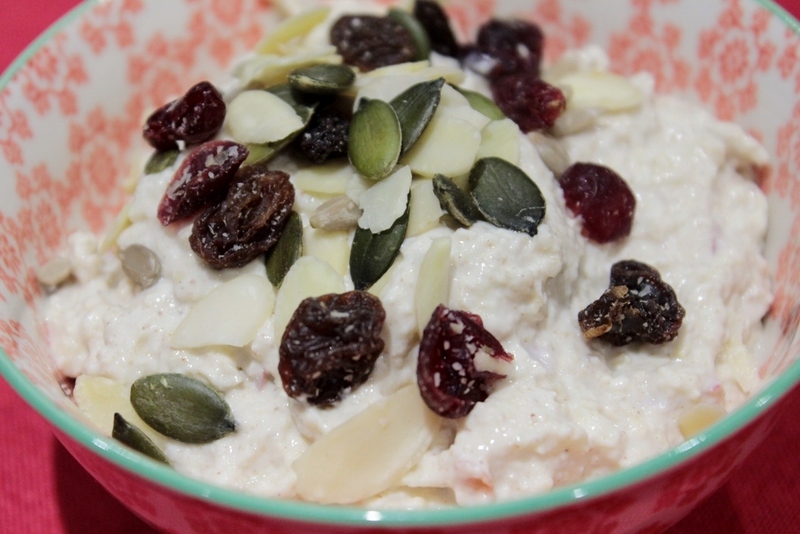 1) Mix together the oats, yogurt and ground cinnamon in a bowl and leave to soak for 5 minutes. 2) Grate the apple and add to mixture, trying to get as much juice incorporated as possible. 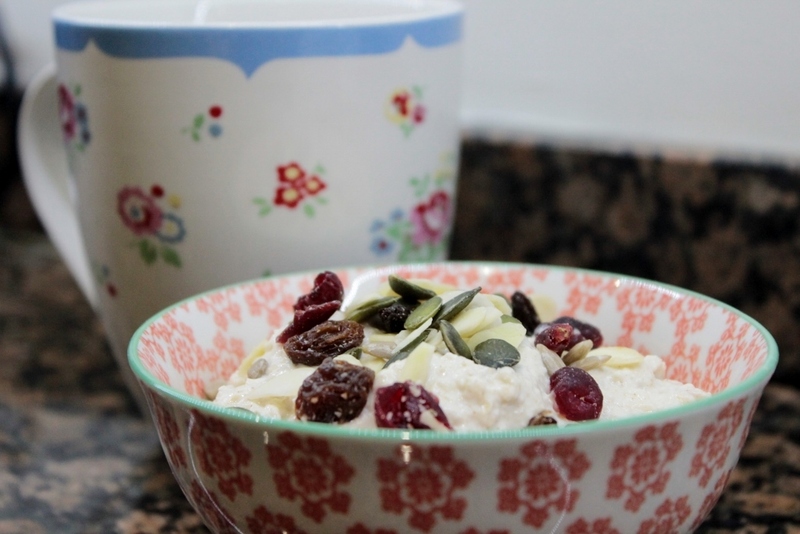 (If you want your bircher to be sweeter just add a little bit of apple juice) 3)Combine altogether and add nuts to the top And hey presto you have your bircher! It really is so simple, the only danger I now have is I make too much of it that it could be the equivalent of my breakfast and lunch mixed into one! My roommate is always making overnight oats for herself with yogurt and oatmeal, but the addition of the apple in your recipe sounds fantastic. And who knew it had a real recipe name? 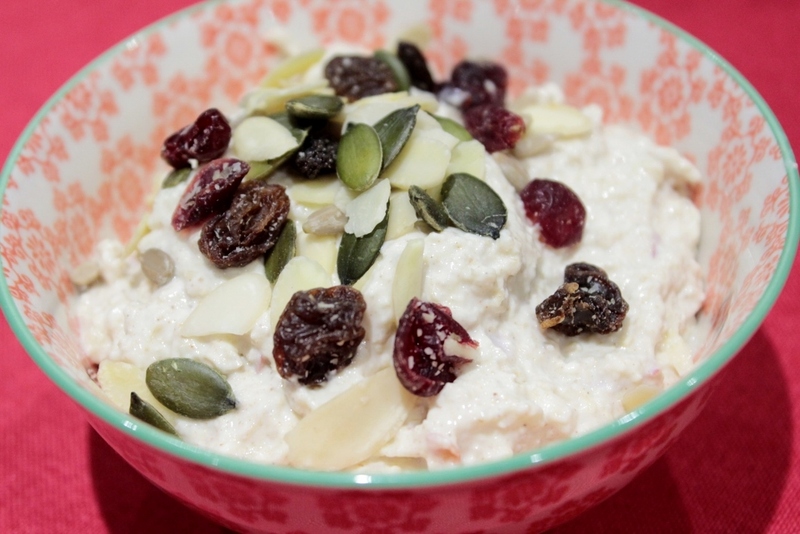 Bircher just made it on the weekly menu….